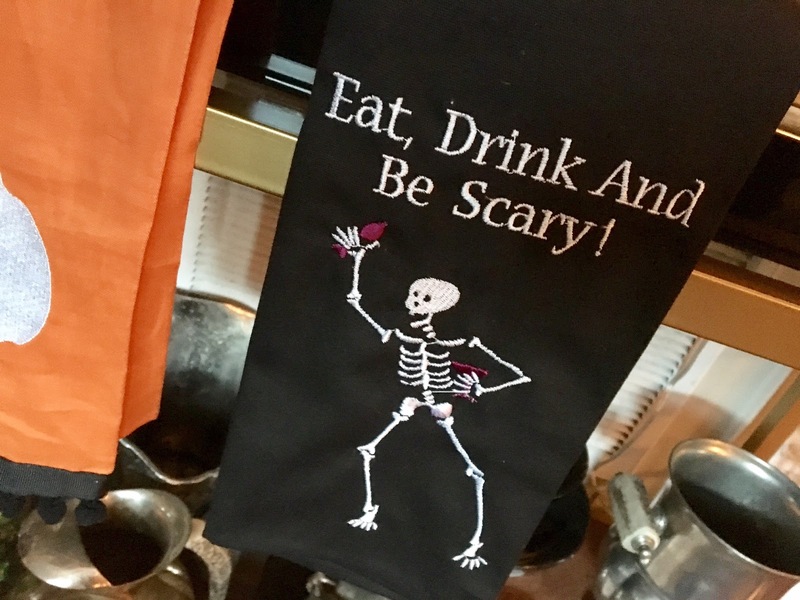 Cheers to you and yours this SPOOKtacular Halloween season. 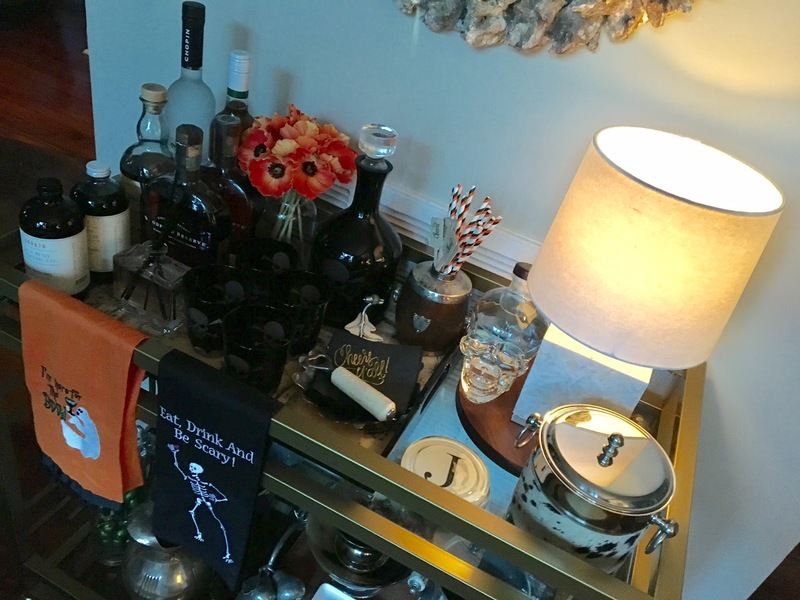 The bar cart is a great "space" to change seasonally, and Halloween is definitely no exception. 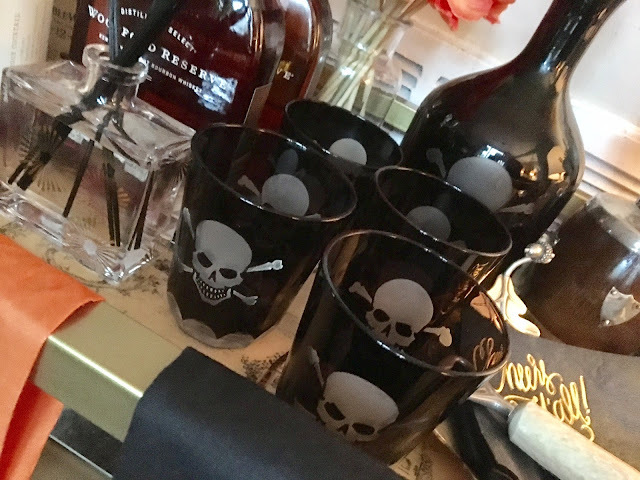 I have loved using the skull & crossbones decanter and double old-fashioned glasses for years. These were picked up on a trip to The Paris Market & Brocante in Savannah, GA. I could not pass up the vodka in the skull head at our local grocery store. I'm not sure if the vodka is good, but it does look handsome on the cart. 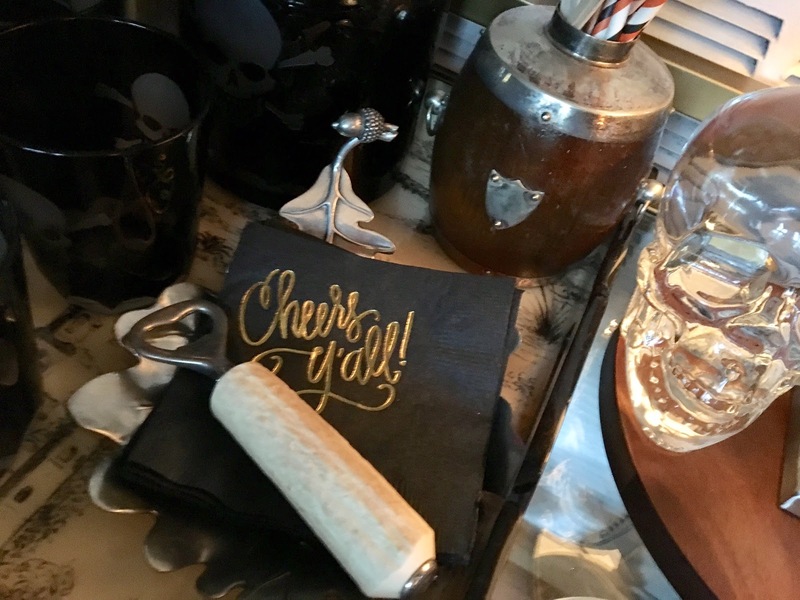 Black napkins with the sentiment "Cheers y'all" welcomes one and all to fix and sip a libation. It's time for some parlor patter. Orange poppies and striped straws bring even more seasonal color. 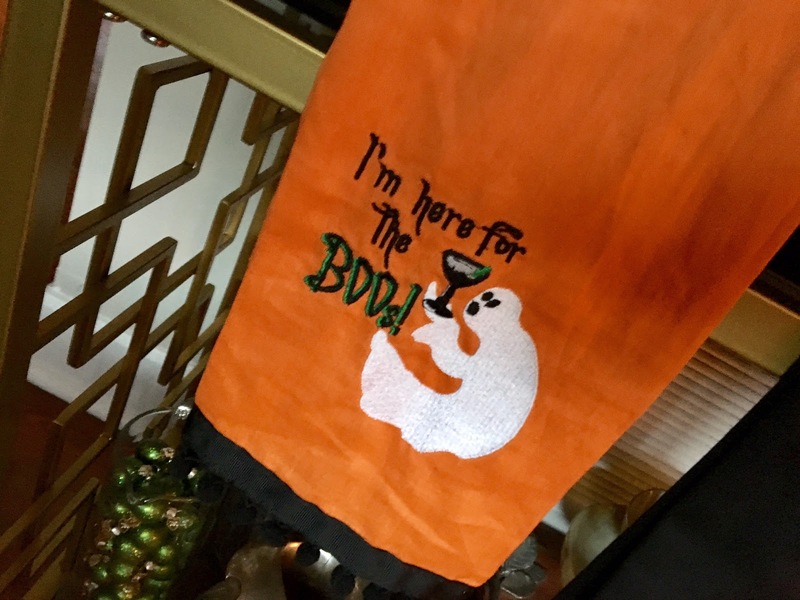 Bar towels are also a fun way to add a seasonal spark. Come and sip with me. 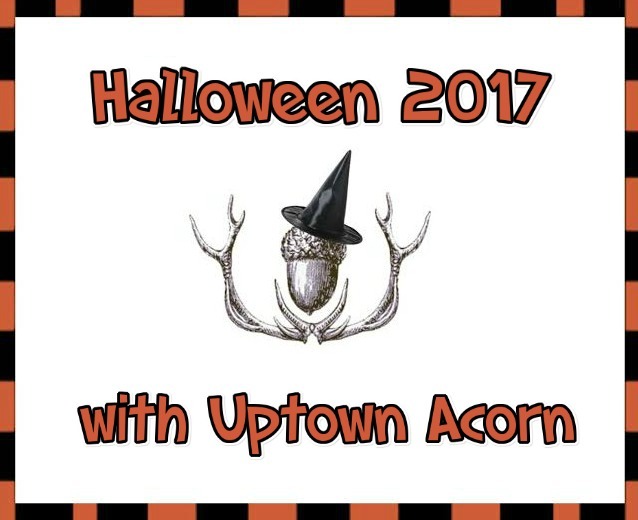 I have no doubt you will be whipping up a scary good cocktail this month. I like your bar cart. I’ll have some Bailey’s on the rocks! 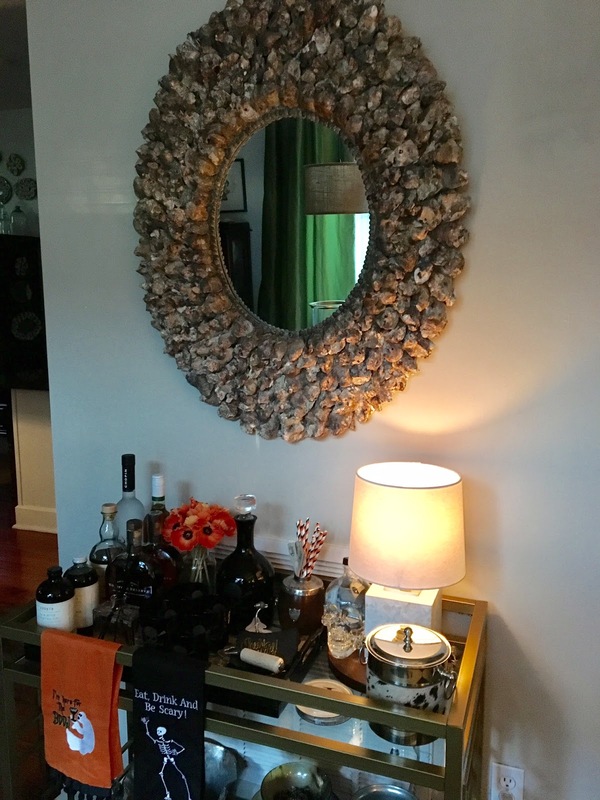 Halloween is such a great time to have fun with decor. Your bar cart is fun and functional. I would love to sip a little cocktail made from your cart. Hahaha, that's the best yet, Ron! 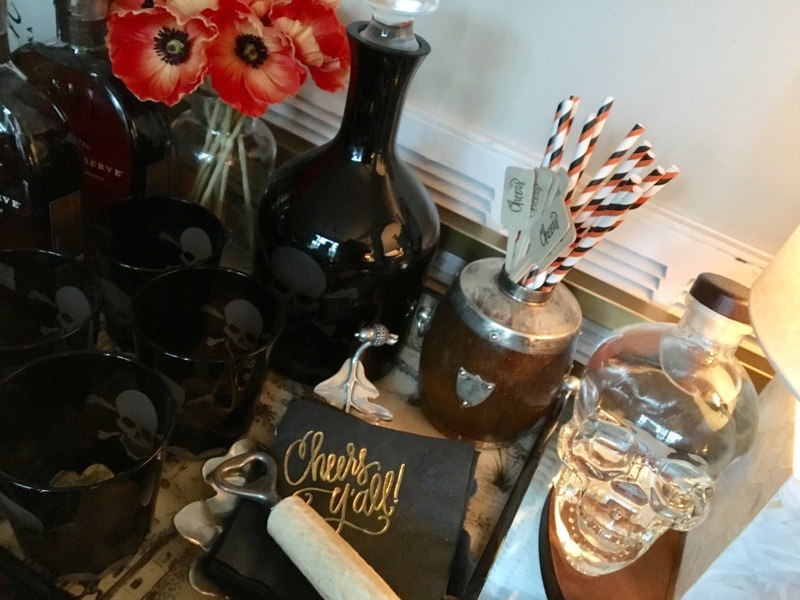 Love the glassware, including the vodka skull! 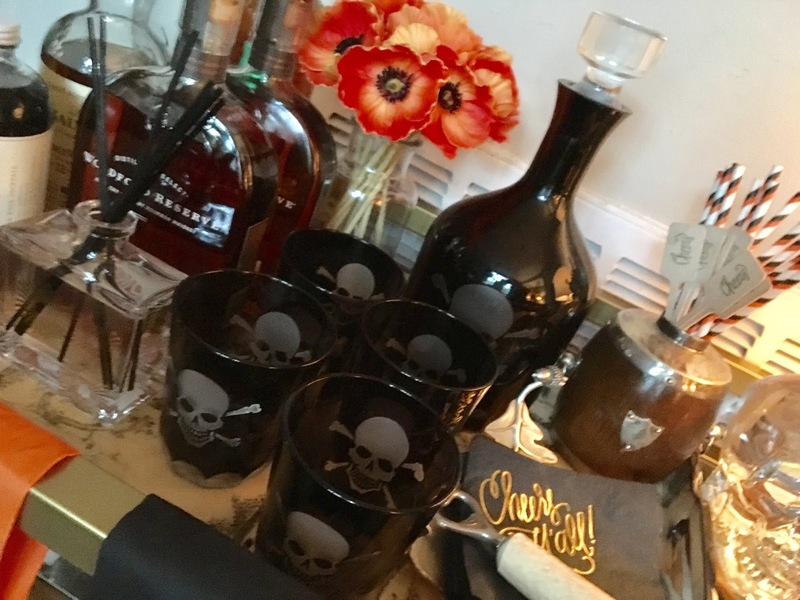 Your bar cart is so party-ready Ron! 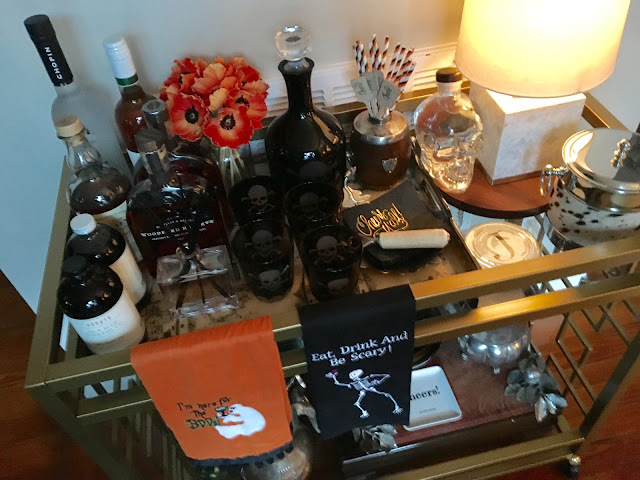 love the Decanter and glasses for Halloween!